Left and Write: The Big Two O....Oh! Believe it or not, I just noticed the other day that this was going to make my 200th blog post on "Left and Write". It was August of 2011 that I decided to start up a "writing" blog and really "get serious" with my writing. I probably shouldn't put " " around 'get serious' because I have gotten a lot more serious than I was about my writing....just not as serious as I think I should be, at this point. That's another post for another day, though. Anyway, I thought and thought about what I should do for my 200th post. I mean, it's a pretty big milestone for me and one that only comes along once in a blogtime. I thought I might do 200 situps. And, then again, I might just puke my guts out. Nah, I'm sure its been done before. Maybe talk about the Daytona 200? I've never been much of a gear head, so no. Then, it hit me. A very simple solution and something I don't do near enough. Thank you all....I couldn't have done it without you. Congratulations on two hundred posts! You picked a good way to celebrate, because two hundred posts that no one's read would be a bummer. Congrats buddy! 200 posts is awesome. And I hear ya, I am no more "serious" about my writing than I was when I started blogging. But I have made so many awesome connections and friends here in the blog-o-sphere, I don't care. One day, I will get there, and so will you!!! There's a Daytona 200? I've stood on the track of the Daytona 500 before. Congrats! Glad to follow along on your writing journey. And no one should be too serious! Congrats on the milestone! Hope you found a way to celebrate. Eating 200 Skittles or something. @Andrew: Me too...I used to collect Bicentennial quarters. @jaybird: Yep, without a doubt :) At least it's a fun ride! @Diane: Thank you! Yes, I didn't know it either until it came up in my "200" search. @Nick: Thank you and I totally agree! 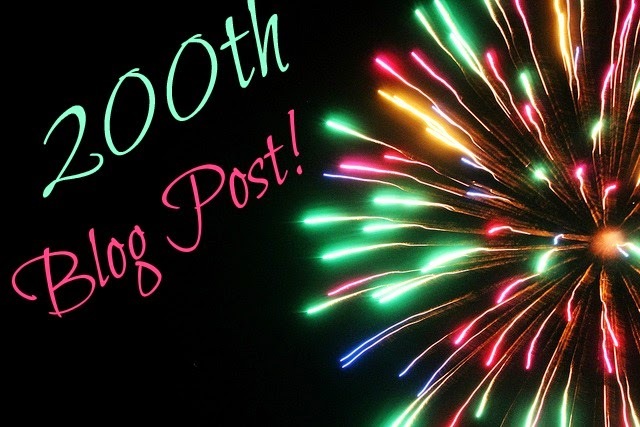 Congratulations Mark on all those zeros with a super duper two in front of them .. that's so good to read .. now to get writing ..
Congrats on that 200th post. You probably won't make it 200 years, but I bet you make it another 200 posts. I can't wait to see what you do for 400..
Aww, what a great way to celebrate. Congrats and here's to 200+ more. 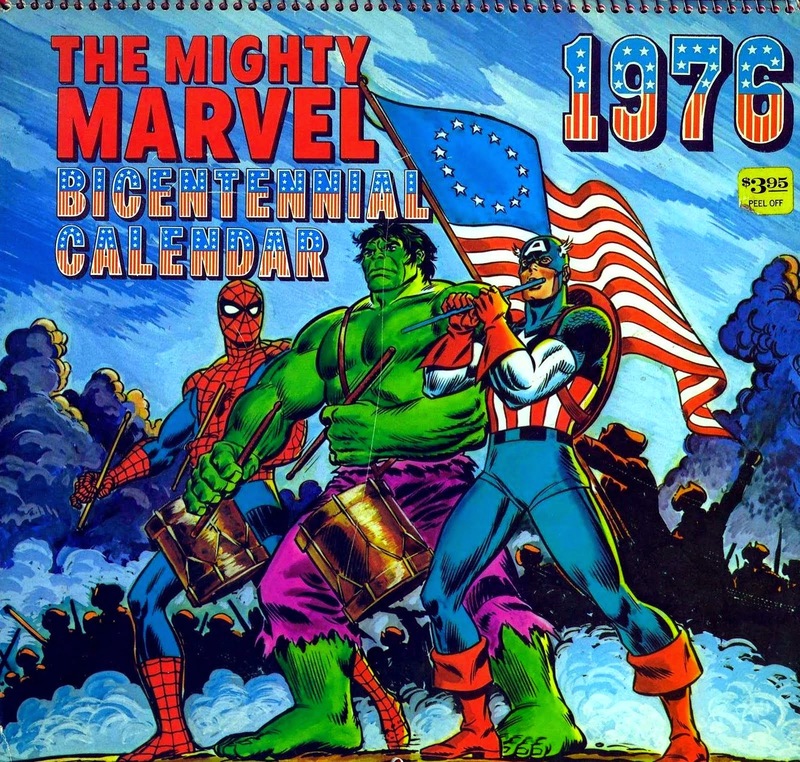 Love the 1976 comics! 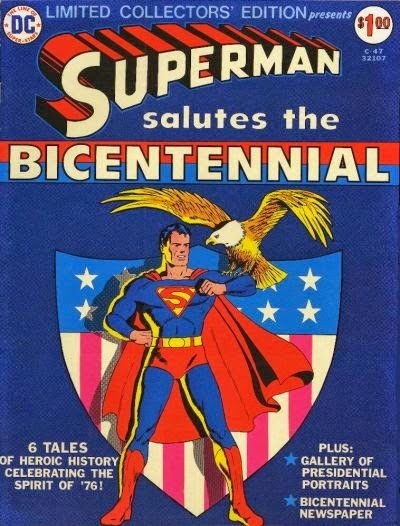 The bicentennial is one of the first news events I vividly remember from childhood. Well done, Mark, on reaching such a milestone, or in metric, kilometrestone, I guess. Here's to your next 200 years, um posts! @Julie: Thanks and same here. It was a huge event, wasn't it? @Stephanie: Haha, no probably not! @Christine: Haha, thank you and beware....you never know what you may find! Congratulations on reaching 200 posts. And thank you for not elaborating on some of those other ideas. Congrats on the milestone. Happy 200 everything. I am one sick puppy to be curious about that feminine hygiene equipment. Congrats on your 200!! Here's to 200 plus more. Keep on writing and posting... We'll be here to read it! @Michael: We sure are and thank you! @Gina: Thank you very much!